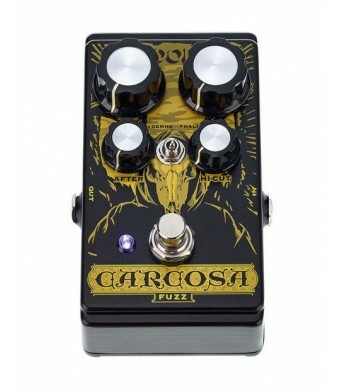 The DOD Carcosa Fuzz is a doorway into an alternate fuzz universe, where classic tones of legend coe..
DigiTech Dirty Robot Mini Synthesizer Transform your guitar or bass into an industrial strength b..
DigiTech Mosaic 12-String Effect Pedal The DigiTech Mosaic Polyphonic 12-String effect pedal sets.. 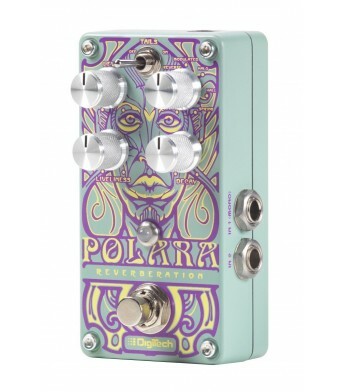 Sing a song of stormy oceans and float upon the calming seas with the Nautila Chorus/Flanger. 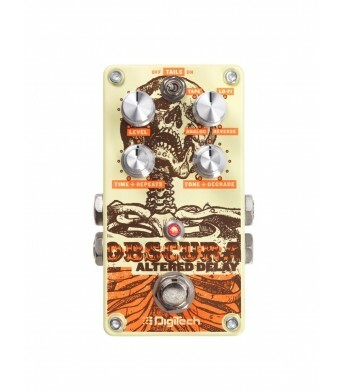 Cr..
DigiTech Obscura Altered Delay Pedal The DigiTech Obscura Altered Delay from DigiTech allows you ..
DigiTech Polara Reverb Pedal With seven inspirational Lexicon reverbs, the DigiTech Polara will b..
DigiTech SDRUM PedalThe DigiTech SDRUM is the world’s first intelligent drum machine for guitarists ..
DigiTech Ventura Vibe Rotary Vibrato The DigiTech Ventura Vibe Rotary/Vibrato pedal from DigiTech..